From simple classics to innovative recipes, there’s a huge range of fantastic fish and seafood restaurants in Cornwall - from the small yet mighty to those with Michelin Stars, read on to be inspired! The luxurious Scarlet Hotel and its sister, the family-friendly Bedruthan Hotel, both overlook the beautiful Mawgan Porth just north of Newquay. They are also both listed in the Cornwall Wildlife Trust’s Good Seafood Guide, which works with the local fishing industry to keep the seas healthy - which leads to more productive fisheries. Winning multiple awards since 2009 for its sustainable credentials, the fish on the seasonal menu are also locally sourced. Pan-fried pollock with baby globe artichokes, roast garlic potato gnocchi and gremolata - just one of the incredible dishes available. The Idle Rocks sits just above the water at St Mawes on the Roseland Peninsula and is a true gem of the south coast. The boutique hotel recently won The Caterer’s coveted Best Seafood Restaurant of the Year prize - and was the only Cornish restaurant to make the final 12. The award was supported by Seafish, the public body that supports the UK’s £10 billion UK seafood industry. Head Chef Guy Owen’s refined and imaginative menu features all-Cornish meat, dairy and fish, including curried Newlyn hake with cauliflower, sour grape, Israeli couscous and herb yoghurt. Wow! All of the restaurants in our list happen to have stunning views, but there’s something really quite special about Lusty Glaze in Newquay. The restaurant at the bottom of this privately owned beach is a firm favourite with both locals and visitors, and even features a rum and pizza bar. A perfect venue for a long, lazy meal while enjoying a spectacular vista, tuck into a bowl of locally harvested mussels, or perhaps the baked sea bass, which is served with a lemon caper dressing, peppered spinach, chunky ratatouille, sautéed new potatoes and a beetroot and horseradish purée. Sensational! The Nare Hotel, tucked away on the sheltered south coast’s Roseland Peninsula, is a quiet, classic country house that last year won the Nare César award for Best Seaside Hotel of the Year at the Good Hotel Guide Awards in London. Awarded to ten hotels nationally per year, the César award is only one of many prestigious awards The Nare Hotel has received over its 25 year history. It’s currently the only Cornish hotel with an AA four red star rating. With Portloe lobster on the menu every night, it’s easy to see why! Last on our list is Mevagissey’s Harbour Tavern. As the name suggests, it’s right on the harbourside overlooking fishing boats at work. This cosy little pub is a free house, and has a relaxed atmosphere that blends its rugged, historic roots with stylish and modern design. This blend also applies to the menu - with an indulgent seafood mezze equally at home alongside classics such as fish, chips and mushy peas. As with all of these restaurants, depending on what’s seasonal and available, the seafood choice changes every day so be sure to check with the team for what’s fresh! Although our featured restaurants all cater to different tastes and styles, they all have one thing in common - Fish for Thought supply their seafood! We’re not just any online fishmonger - we’re delighted to be able to bring high quality fish and seafood to some of the top restaurants in the country, which regularly achieve national recognition for the quality of their food. So when you order from us, you know you’ll enjoy fresh, sustainable and award-winning fish and seafood. Click through to our shop now to start cooking up your own spectacular seafood recipe at home!  We are really proud of the provenance and quality of our Cornish lobster.  We have close relationships with a small number of fishermen and many of them land directly to us. Not only that we provide them with bait for their pots in the form of our fish frames and waste. This is a real win win as it eliminates the need for us to dispose of our waste and provides our fishermen with free bait.